There are kids who will sit for hours and draw or colour and then there are the kids that won’t! My older kids had the attention span to sit and work on more serious art projects. Being that they were my only children at the time, I naively thought that sit-down art projects would work for all kids! Then of course my other kids came along and I got another life lesson in how unique each child is. Some of my younger kids cannot sit for long periods of time and do not have the attention span or interest to do a traditional art project. There may be a reason your kids can’t sit still but regardless of the reason, you still need to find ways for them (and you) to cope. I could have given up on the idea, but I think that exposure to art is important for kids plus I am stubborn (!) so I have found ways that my active kids can still experience hands-on art. We do a lot of large art projects and I’m always looking for ways to add gross movement into our artwork or to do things outdoors. 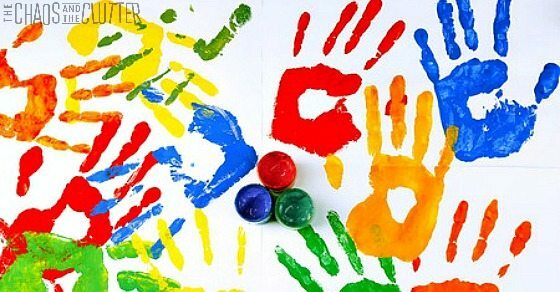 Here are some ideas for you if you have fidgety or active kids who would rather throw or stomp or run than sit and paint. With some of these, they can do it all! 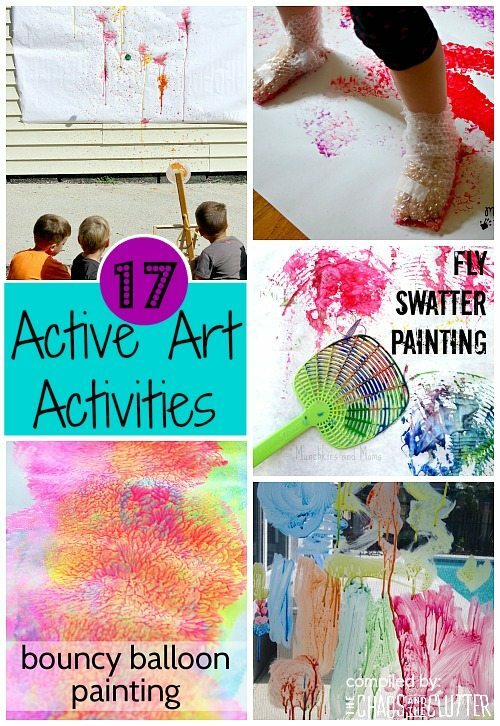 If you are looking for other great ideas for your family, you may be interested in following my Kids’ Activities board on Pinterest or signing up for my newsletter updates. Follow Sharla Kostelyk’s board Kids’ Activities on Pinterest. I am always trying to get my guys to sit down and “make art” – maybe it’s the FIRST part of the whole thing that they aren’t into!!!! Thanks for the great ideers!